Learn how best to play against big stacks (50 BBs or more) on your left or right in tournaments. MTT strategy: How to deal with both loose and tight players with big stacks, on your left or right. Over the past two weeks, I've discussed how I play against both small stacks and medium stacks distributed around the table in a multi-table tournament. This week, I will wrap up this series by profiling the big stacks, discussing how best to approach them depending on where they are sitting. I will define a big stack as greater than 50 big blinds. 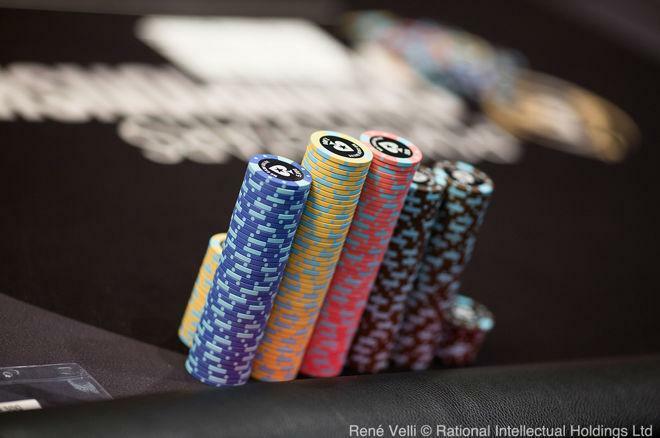 These stack sizes are most prevalent in the early stages of a tournament. With this many chips, the average player is very hesitant to get it all in preflop without a premium hand. For this reason, I will focus primarily on postflop play. Tight players with big stacks tend to loosen up a bit because they have "gamblin' chips," but at the end of the day, they are still tight players. They tend to gamble by calling lighter to see a flop and then playing fit or fold after flop. Even when they hit the flop, they will likely fold to big bets on future streets if they don't improve enough to raise before the river. I open a wide range and triple-barrel bluff these players often if I can threaten their tournament life by doing so. Loose players with big stacks on my left are the trickiest opponents I encounter. They fall into one of two groups. The loose-passive ones will call me down with a wide range. This makes it tough to open and continuation bet light when they have position on me. In this case, I adjust by decreasing my bluffs and going for three streets of value. The loose-aggressive ones put me in all kinds of tough spots with light three-bets and postflop raises when I open a wide range. I adjust to them by playing tighter and playing my hands more deceptively by using light four-bets and slow plays. If they are overly aggressive, I set traps for them and let them bluff off their chips to me. If they are good and use a balanced strategy against me, there is no edge I can exploit to overcome their positional advantage and, therefore, I must play a balanced strategy as well. I cannot get out of line against them, so I have to wait for better spots. As long as I don't bust, the table will eventually change allowing me to regain the captain's chair. Tight big stacks on my right will play similarly to loose medium stacks. They will open a bit wider with their "gambling' chips" and may call the three-bet to see a flop, but will fold at some point if they don't improve. I mentioned how loose big stacks are tough to play against when they are on my left. However, they can be a gold mine when they are on my right because they will be opening light a ton. This gives me the option to three-bet them or flat them in position in order to take it away postflop. I fully expect them to put more chips into the pot by aggressively four-betting light preflop or c-betting too much postflop. If I put up enough resistance, the observant ones may begin to adjust to me in the same ways I adjust to loose-aggressive big stacks on my left. If they realize that they cannot run over me, they will have to tighten up and defer to my positional advantage. The more maniacal ones may be offended by my decision to fight back and decide to go to war with me. This will make for some huge pots, but in order to win tournaments, I need to be able to recognize when this is happening and be willing to accept the challenge while relying on my positional advantage to give me an edge in this fight. Hopefully this three-part series helped you to think more about the table dynamics at play among the various stack sizes. As soon as you sit down at a new table in a poker tournament, your past experience and the stack distribution will give you clues as to how the action should go. Observing players' tendencies based on the decisions they are currently making will also give you clues as to how the action will actually play out going forward. Only after you understand these two pieces of the puzzle — stack distribution and your opponents' tendencies — can you then craft the perfect strategy to maximize your expectation at the table.